The Mass readings for Tuesday in Holy Week focus on the betrayal of the Lord. I share with you this powerful article, by a Poor Clare Colettine Sister, from the website of the Boston Catholic Journal. "What are you willing to give me if I hand him over to you?" and from that time on he looked for an opportunity to hand him over ..."
We betray others — and sell ourselves — so often for such a paltry return, for some trifling personal gain or some fleeting temporal recompense. More often than not we betray others for profoundly selfish reasons, as a means of extricating ourselves from blame, as an act of subtle or less than subtle revenge, for emolument ... in one way or another we are all guilty of betraying the love and confidence of others, of something which has been entrusted to us. The very word itself is fraught with withering darkness. 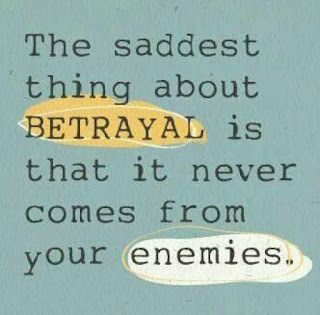 Betrayal means calculated disloyalty to another, the breaking of innocence in the breaking of trust; it is to lead, with purpose, another astray or into error. It has a rich and varied parlance: to sell down the river, to mislead, to stab in the back, to misguide, and all of us have known of its bitter, bitter fruit. Until we ourselves are the victims, we do not fully comprehend the compromising of trust as a tremendously and intrinsically destructive breach between individuals, the effects of which can be far reaching beyond our anticipation, and long lasting, perhaps even irreparable. Judas betrayed Christ. His name has become synonymous with betrayal, infamy. Bt none of us may stand in judgment of Judas. His weakness is within us all. However reluctant we are to concede the weakness, it intrinsic to our fallen human nature from which none of us can prescind. It is just one deleterious aspect of a deep moral fissure resulting from the Original Sin we inherited from Adam and Eve. The heart of Christ was one of perfect love and forgiveness. Judas knew this. He saw it day in and day out as he walked beside Jesus. He saw it in everything Christ did. Judas' betrayal is, in the face of this, a great mystery, something the Father allowed for His purpose – but Judas's greatest sin was not his betrayal of Christ, but his despairing of God's forgiveness. Both Peter and Judas betrayed Christ. The paramount difference, as most know, is that Judas despaired ... while Peter repented. 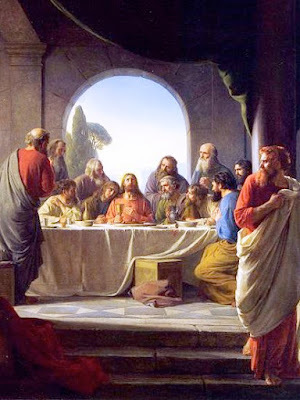 What is very important to understand is that while Judas is the paradigm of betrayal, each of us has been, at one time or another, an inflection of it. Yes, Judas betrayed Christ. But so did I. So did you. 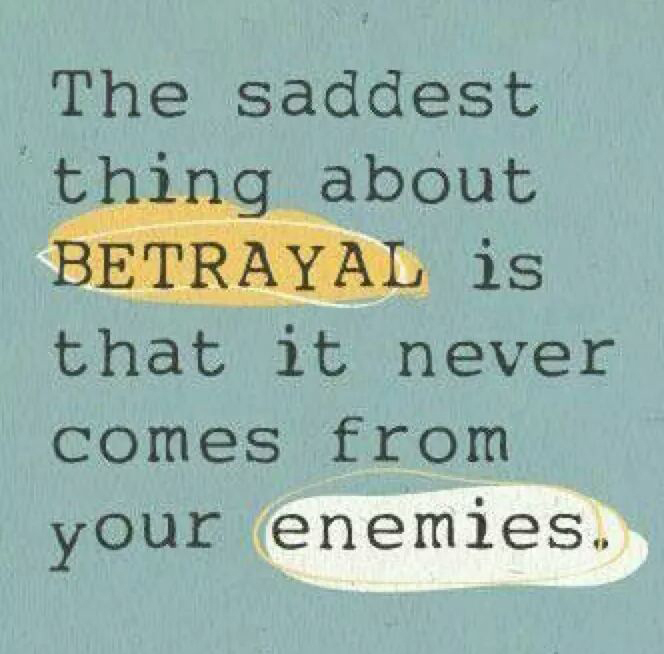 Our betrayal has simply been less publicized, but so often no less notorious. For this reason, the consequences of betrayal and the endemic nature of betrayal through sin, should be kept in our minds and hearts. It is a necessary remembrance, for it will assist us in resisting sin — which is always a betrayal. resist the terrible sin of breaking the trust of another human being, and at the same time, what one is really doing is breaking a child's trust, for we are all, each of us, despite the masks and pretences that we wear, we are each children, vulnerable and fragile. Trust, to be trusted, to be found trustworthy, is not simply conducive to love, but enhances love, enabling it to grow beyond all the uncertainties that would would otherwise impede it, constrain it ... it is the nurturing of a beautiful bond between persons. This point is well illustrated in the story of the father who placed his young son on a table and urged him to jump into his arms. While apprehensive of the height, the trusting child nevertheless flung himself toward his father — who let the child fall painfully to the floor. "Let that be a lesson, son. Trust no one." It is very likely that the child never did. We must never be that parent, that spouse, that friend. For everyone who leaps in trust to our arms ... is a child. Broken trust can be healed through the renewal of trust. It is possible. All things are possible with God. But if the breach has been deep, the journey to renewal may be long and arduous – and that is all the more reason why we should reflect well upon our words before we speak and give thought to any act in anyway that may damage that innocence implicit in trust. If truly you can find no occasion within yourself in your dealing with men, know that you do with God. How often we betray God. All of us. Every time we sin. How often! ... and how are we requited? We encounter His great love and mercy ... His forgiveness. “I never knew this man”—did quail and fall, call. And filled the silence, weeping bitterly.